Jane Lynch Talks Life, Love & Elfbots! The story about a girl who does the impossible to be with the person that she loves. Conversely, he has no feelings for her. A dynasty that pursues immortality, and the struggle of Zeynep and her family fighting against this dynasty. A television musical adaptation of Carlo Collodi's popular fairy tale. 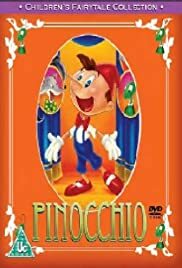 A fairly faithful adaptation of Carlo Collodi's classic novel about an animated puppet that desires to become a real boy. Blue Fairy: Don't be afraid, Pinocchio. I haven't forgotten you.